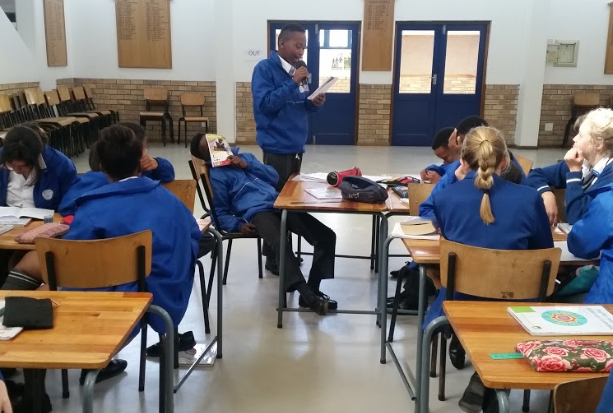 We were honoured to once again be invited to run creative writing workshops in schools as part of the Knysna Literary Festival Outreach programme from 30 July to 2 August. 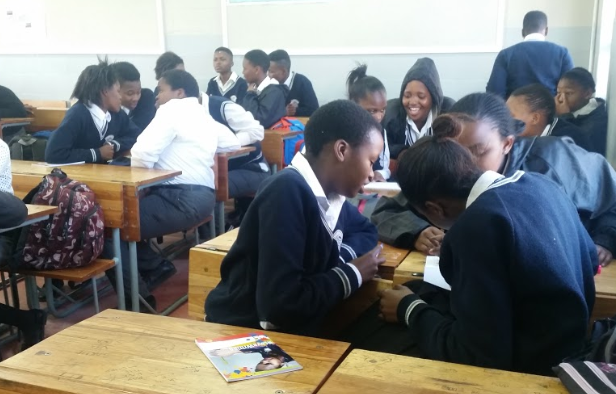 We spent time with: Knysna Primary School, Rheenendal Primary School. 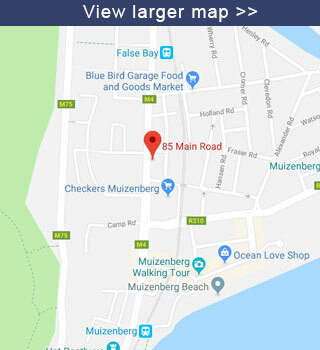 Knysna Secondary School, Percy Mdala High School, Wittedrift High School, Plettenberg Bay Primary School, Murray High School and Montessori High School. The focus was on writing in your mother tongue or any language the participants felt most comfortable with. Not bad as far as statistics go. But they can’t begin to tell us the depths into which these young writers had to plunge in order to come up with the stories they did. The sessions were relatively short so we had to keep the energy up and ensure that they were fast-paced. Sessions started with some word games and fun introductions. Then it was straight on to the first activity: Free Writing. 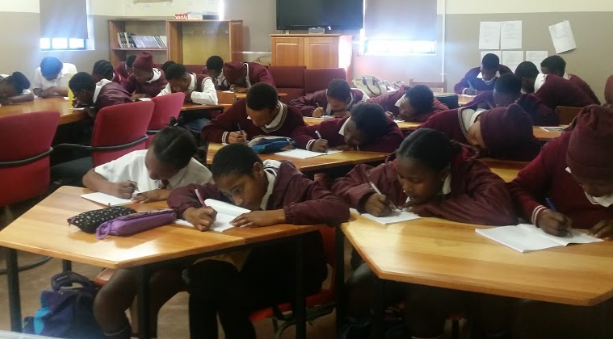 We explained the concept of free writing in detail and – without fail – there was resistance from the learners and looks of despair, particularly when it was announced that they would have 6 minutes to complete the free writing exercise. Despite the resistance, this was the most rewarding activity in every session. During feedback many learners said they were disappointed when the time was up. Some said that they were glad because their hands were cramping and not because they actually wanted to stop writing. Many also expressed surprise at the direction in which their writing went. A Plettenberg Bay Primary learner put it best: “Ms, I wrote something quite dark. I don’t know where that came from. It doesn’t reflect my life at all.” She shared her story and wowed the class with her richly plotted scene from a crime story. For the group work activity we used our trusted activity – a story starter – which involved the class brainstorming and mindmapping together around some of the elements of writing fiction – focusing on character, plot and setting. We offered learners lots of flexibility and some also chose to break away from their group and write individually. Throughout these sessions we were pleasantly surprised by the willingness of learners to share their writing with their peers. And, we hope that they’ve inspired some young people to continue with their writing… perhaps we’ll be lucky enough to attend a book launch for one of these writers in the years to come! A big thank you goes to the Knysna Literary Festival and Pam Golding Properties Knysna for their sponsorship of the workshops and for making it all possible.